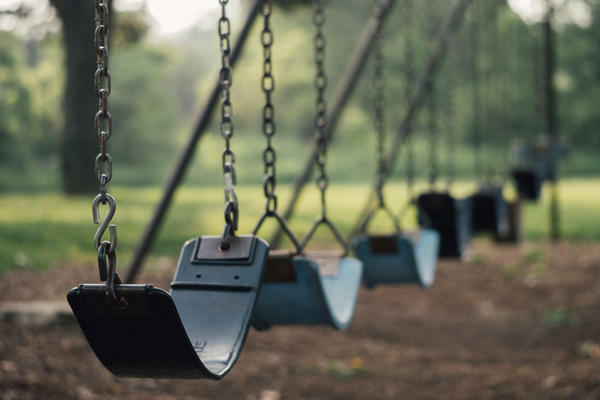 Earlier this month, a Kentucky teacher was charged with assault after a video showed her dragging a 9-year-old boy with autism through school hallways. Studies show that kids with disabilities are three times more likely to be bullied than their peers, and an increasing number of parents are speaking about their kids’ experiences with abusive adults. Among them are Lauren Robert-Demolaize and Virginia Scudder, whose children, they say, have been targeted by adults. Robert-Demolaize says her daughter, Chloe, became “a topic of conversation” among the other parents because of her outbursts in the classroom. Chloe has autism, Robert-Demolaize says, and loud noises can trigger her anxiety. Scudder says she went through a similar experience with her son, Lucas, who does not have autism but has a similar sensory disorder. She says that one of the consequences of adult bullying is that children will copy adults’ behavior. Scudder: “[Lucas is] deathly afraid of sirens. He has difficulty with fine motor skills. He just has a difficult time transitioning, and so if things are not familiar, they’re very foreign to him, the unusual or the not the norm definitely sets him off. And he does start crying, he panics. He’ll hold his ear. It’s a coping mechanism for him in dealing with his fear. Robert-Demolaize: “[Chloe] loved going on the bus, and it was exciting for her. And the route changed, and they changed the bus driver, and there was an immediate change in her behavior. And she would come home screaming and crying. And she has a language delay when it comes to talking about feelings and emotions, so I was not able to really get much information out of her other than you noticed this major change in behavior. Scudder: “I’m actually in the field of education, and I am not only a mother, I’m a teacher, and I work in the public school system. I think part of the issue here is the school in which Chloe was enrolled in was a private school, and they don’t always follow procedure. Unfortunately in these types of private settings, you have individuals — and I like to call them the narcissistic bully — they’re very self centered. They feel like it’s only their world and only their child that deserves to stand out. They don’t understand empathy. They feel like they’re protecting their child, but they don’t understand what they’re doing in essence is really hurting the other child that they’re speaking of or that they’re complaining about.